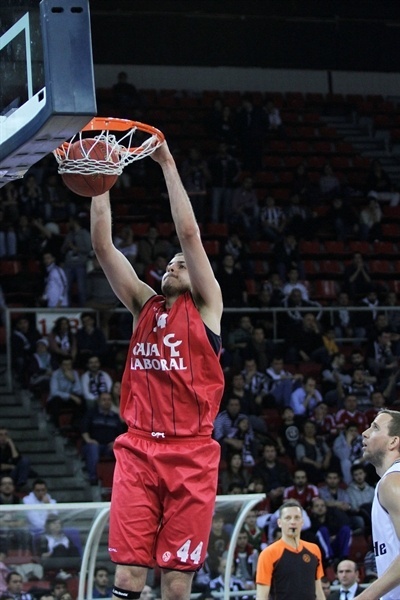 Andres Nocioni starred with 22 points as Caja Laboral Vitoria ended a five-game slide by downing Besiktas JK Istanbul 73-83 at Abdi Ipekci Arena on Friday evening. Caja Laboral never trailed as it improved to 5-5 to remain in the playoff hunt in Top 16 Group F. The loss dropped Besiktas to 0-10. Nocioni scored 12 second-quarter points as Vitoria surged to a 23-43 halftime lead. Cevher Ozer starred in a 20-2 charge to open the second half as the hosts infused drama into the game and closed within 2. 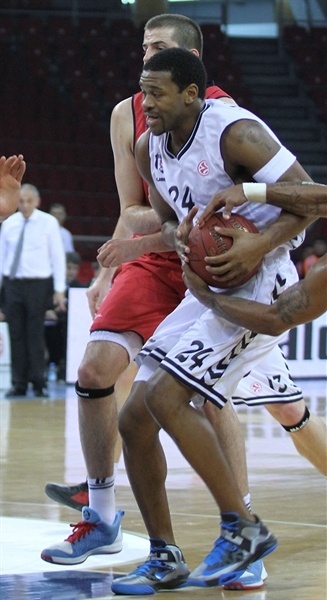 However Vitoria managed to keep Besiktas at bay, re-extended the lead to double figures in the fourth quarter and racked up the victory. Nocioni made 5 of 6 three-pointers to lead the visitors’ attack. Tibor Pleiss tallied 15 points, Maciej Lampe added 14, Nemanja Bjelica had 11 points and 8 assists and Fernando San Emeterio scored 10 for the winners. 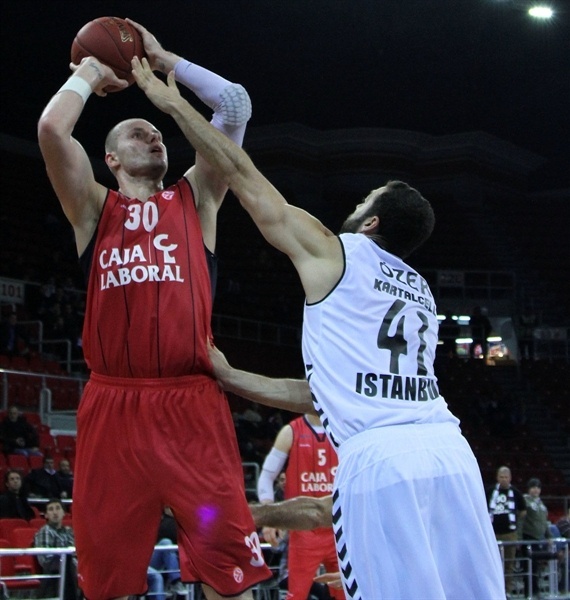 Gasper Vidmar paced Besiktas with 18 points, Ricky Mindard scored 14 and Ozer and Damir Markota had 13 apiece in defeat. Fabien Causeur opened the scoring from downtown for the visitors before Vidmar corrected his own miss to start Besiktas’s account. After free throws by Bjelica and a Mindard triple, the score was knotted at 5-5. Thomas Heurtel knocked down a three and Lampe scored from under the basket as Vitora jumped ahead by 5. Lampe and San Emeterio sandwiched scores around a Ozer basket as the visitors looked to pull away, 8-14. A San Emeterio tip in and basket by Milko Bjelica, in between which Vidmar missed twice from the line, extended the gap to double figures. Vidmar scored down low to make it 10-18 after 10 minutes. 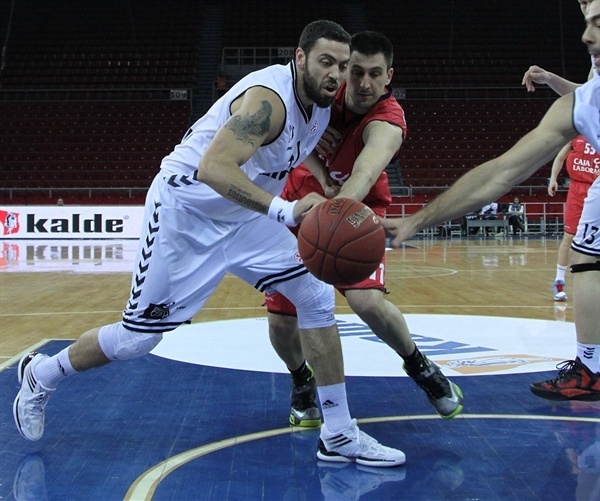 Nocioni heated up with 5 points as Vitoria continued to stretch the lead. Vidmar got to the line again, but missed twice. Nocioni banked in a jumper before Pleiss shined with a block at one end and taking a dish from Nocioni for a layup at the other. Besiktas coach Kunter called timeout with his team down 10-27. Markota provided a spark with a slam and a dish to Patrick Christopher for a three-pointer. The Vitoria bigs, Nemanja Bjelica and Pleiss, traded scores with the Besiktas guards, Christopher and Muratcan Guler. Nocioni scored on the offensive glass to boost the Caja Laboral advantage to 20-35. Causeur drained a three from the corner as the lead reached 18. Markota and Nocioni swapped triples. Milko Bjelica found Nemanja Bjelica for a slam as Vitoria strolled into halftime up 23-43. Besiktas tried to go inside and got points from Vidmar and Ozer while blanking Vitoria in the first few minutes of the second half. A Minard steal set Vidmar up for a powerful two-handed slam. Lampe ended Vitoria’s scoreless streak, but Fikret Can Akin fired in a three and Ozer netted a baby hook to make it 32-45. Nocioni was slapped with a technical foul for “flopping.” Ozer capitalized with the free throws and then Heurtel drew a technical for protesting a call. Ozer tacked on 2 more as did Akin before Ozer buried a triple wrapping up a 9-point possession. Minard was next to the line to cap a 20-2 charge, which drew the hosts within 43-45. Nocioni ended the drought with a three-pointer and Lampe added 2 free throws, but Serhat Cetin connected from downtown as the momentum stayed with the hosts. Ozer threaded the needle to Vidmar, who finished nicely. Cetin missed a three-pointer to tie it and San Emeterio created a Vitoria cushion at the other end. Nocioni canned a triple from the corner to make it 50-58 through three quarters. San Emetrio re-extended the Vitoria lead to double-figures early in the fourth quarter. 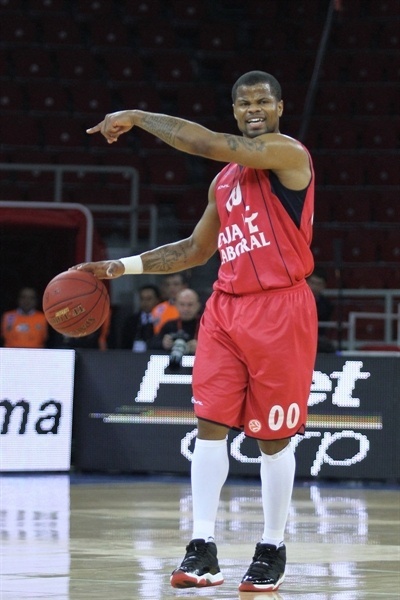 Besiktas did not quit. Vidmar split free throws and Markota buried a three to make it 54-61. Pleiss sandwiched a pair of buckets around one from Vidmar to keep the hosts at bay. Nocioni’s fifth three of the game made it 56-68. San Emeterio made it a 15-point game before Minard sank a mid-range jumper. 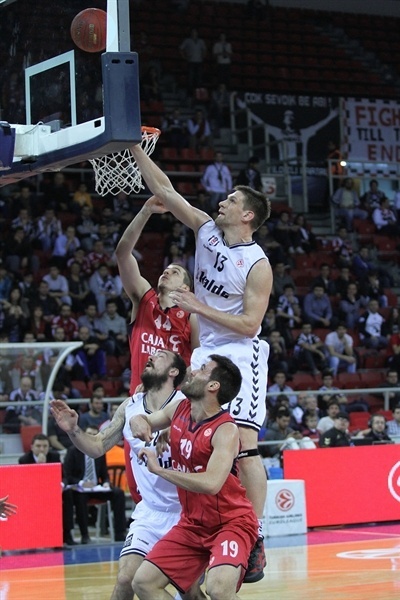 Markota sank a three and Vidmar dunked on Pleiss as part of a three-point play. A Lampe jumper and Nemanja Bjelica layup helped ice the game in the closing minutes as Vitoria chalked up a crucial win.